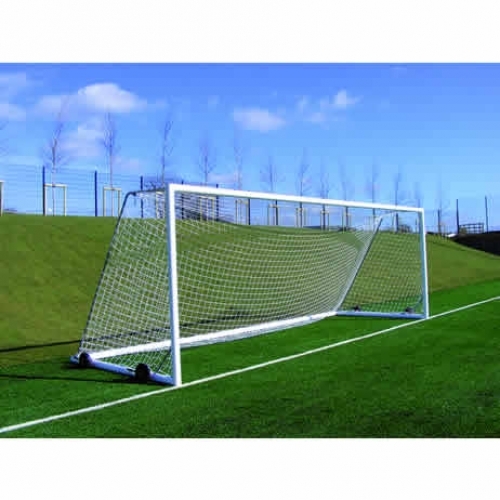 This goal has been designed with the flexibility to be used and easily manoeuvred on any surface. 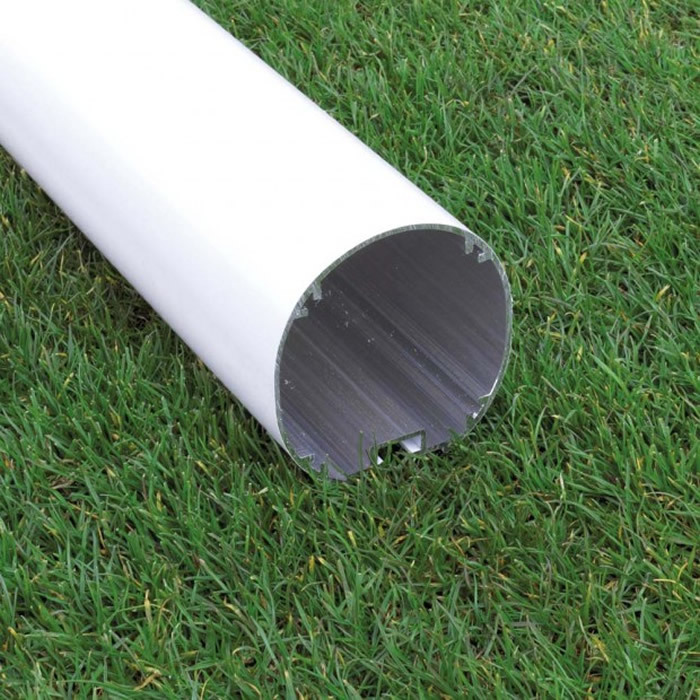 When raised it has superb ground clearance. 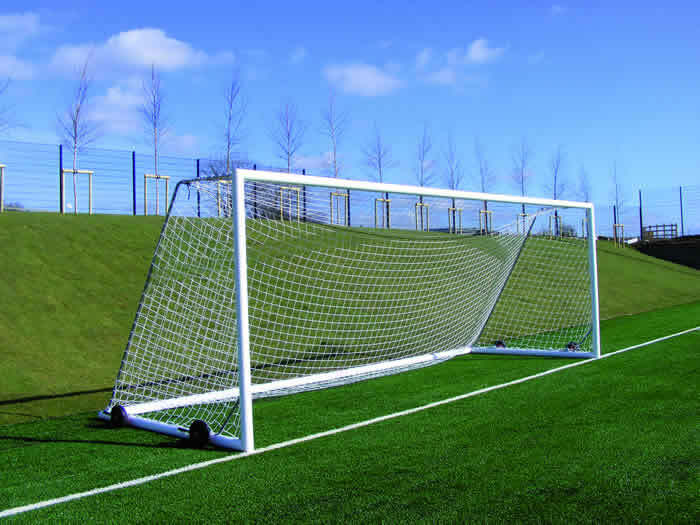 Manufactured from 100 x 110mm reinforced aluminium, Internal welded corner joints and extra strong top corner joints. Durable powder coated finish Supplied with: international back supports, top diagonal supports, Upeg anchors, chains and lock on nylon hooks. 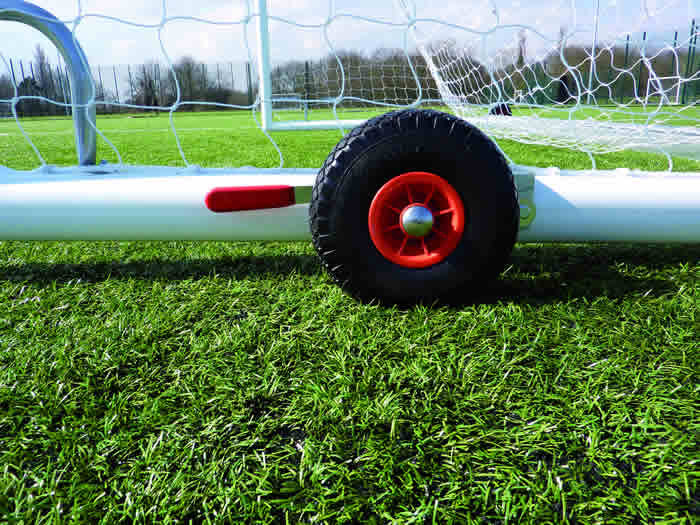 Wheels - All zinc plated brackets complete with 260mm diameter, micro cellular polyethylene non-puncture wheels, sold as a set of 8 wheels – sufficient for 2 goals.